Fresh Talk/Daring Gazes chronicles the blossoming of Asian American art and anticipates the growing democratization of American art and culture. Pairing work by twenty-four contemporary Asian American visual artists with responses provocatively drawn from cultural critics, other artists, activists, and intellectuals, this book explores themes of geographical movement, the sexuality of Asian bodies, colonization, miscegenation, hybrid forms of immigrant cultures, the loss of home, war, history, and memory. Elaine H. Kim's historical introduction charts the trajectory of Asian American art from the nineteenth century to the present, offering a comprehensive account of artists, major artworks, and major events. Commentaries by writers, artists, and cultural activists examine the work of visual artists such as Pacita Abad, Albert Chong, Y. David Chung, Allan deSouza, Michael Joo, Hung Liu, Yong Soon Min, Manuel Ocampo, PipoNguyen-Duy, Roger Shimomura, Carlos Villa, and Martin Wong. Prominent artists and critics such as Homi K. Bhabha, Luis Camnitzer, Enrique Chagoya, Gina Dent, Ellen Gallagher, Arturo Lindsay, Kobena Mercer, Griselda Pollock, Jolene Rickard, Faith Ringgold, Ella Shohat, Lowery Stokes Sims, Jaune Quick-to-See Smith, and Hulleah Tsinhnahjinnie offer thought-provoking reflections on each artist. Sharon Mizota's extended captions further elucidate the paintings, graphics, photography, installations, and mixed-media constructions under discussion. 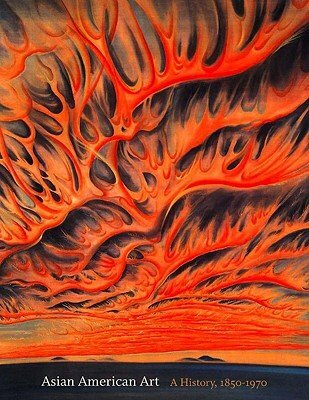 You Will Love Asian American art! Why Asia? : Contemporary Asian and Asian American Art is a ground-breaking investigation into two overlapping and rapidly emerging areas in contemporary art.Extricating them from their current confusion under a generic "Asian" label, Yang reveals the specificity of each.The book consists of lucid discussions on individual artists, exhibitions and theoretical issues.With over sixty illustrations it serves to introduce the current landscape of Asian and Asian American Art, with essays on art in China, Taiwan and North America, as well as individual essays on leading artists such as Rirkrit Tiravanija, Xu Bing and Michael Joo.Above all, Yang explores the challenges that contemporary Asian and Asian American art poses to artists, critics, curators and viewers alike.In particular, she reflects on the complexities of exhibition practice, the role of identity politics in arts, the unspoken assumptions of Western critics faced with Asian art, and the difficulties faced by artists working between cultures.This is a major critical contribution in an area where criticism conspicuously lags behind artistic practice. 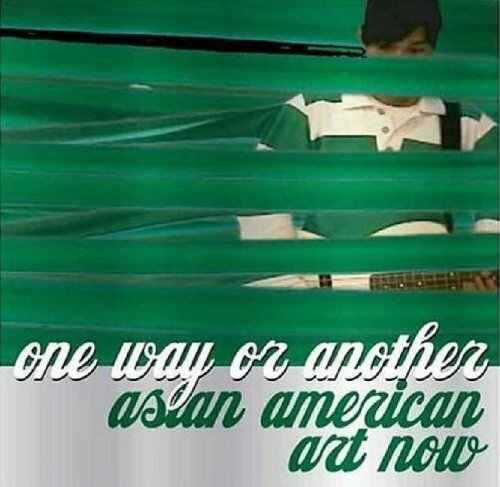 Contemporary Asian American artists––with a strong sense of being American and an acute critical consciousness of world matters––grapple with issues of identity in a way that sets them apart from their predecessors. 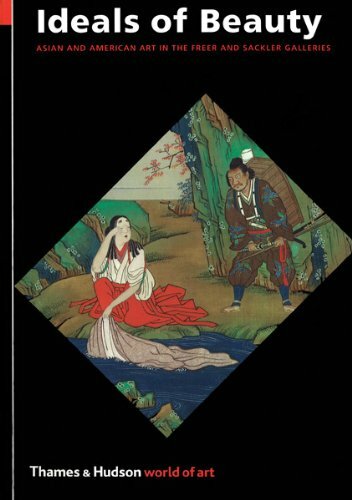 Whereas many Asian American artists of a previous generation directly referred to an Asian sense of self in their works, it can be argued that younger Asian American artists only sometimes make reference to it or omit it entirely. 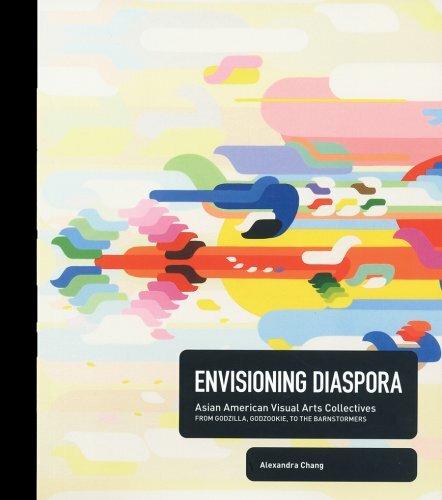 This creatively designed book focuses on recent works by seventeen Asian American artists born in the late 1960s and 1970s––including Patty Chang, Kaz Oshiro, and Jean Shin––to explore this pivotal generation of artists, the prevalent themes in their art, and the different ways they configure identity in their work. One Way or Another features examples of painting, sculpture, and video and installation art––many previously unpublished––and includes essays that discuss the shifting meaning of Asian America over the last decade and address the issues of mixed heritage and the emergence of an evolving Asian American identity in an increasingly globalized society. 7. Asia/America; identities in contemporary Asian American art, essay by Margo Machida, Vishakha N. Desai and John Kuo Wei Tchen. 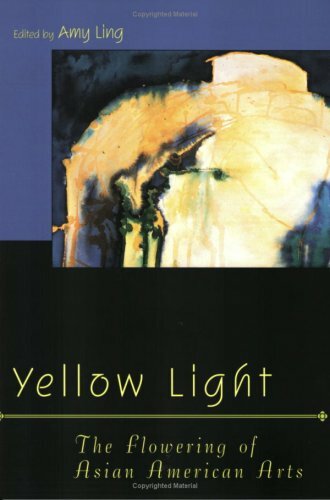 Yellow Light is an important collection of interviews with different members of the Asian Pacific artists community who are still with us today. Covering a wide swath of disciplines and styles, and catching people at different stages of their careers, it's an enormously intriguing insight into the diverse opinions which exist within our community and how we each set our priorities. Is it a perfect text? Perhaps not. All books will have their detractors. But for Asian American writers and artists, this is a wonderful, often candid snapshot of where we're at, but hopefully not necessarily where we're staying. Despite the uniformity of the interview questions, which some may see as an advantage or a disadvantage to the text, in most cases, the personalities of the subjects really do come to life within their words. We should be grateful to Ms. Ling for going through so much hard work and crossing so many cultural lines to bring this picture of Asian America to the world. Having met some of the people interviewed in the book, some of their opinions have changed or remodulated since the original interviews it seems. People would do well to remember that and try and seek out other recent interviews and works by these artists after you've read this particular text. Should you agree with all of their opinions? Of course not. But this book lets them say their piece and take key steps to articulating a greater Asian American consciousness that most of us don't hear within the mainstream today. 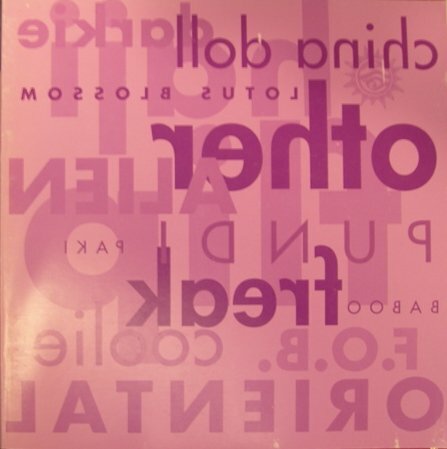 Or in a nutshell: I discovered several good writers within this book, and a few of the excerpted stories continue to linger with me long after I'd placed it back on my shelf. If you're thinking of buying it, I can think of far worse things to buy. 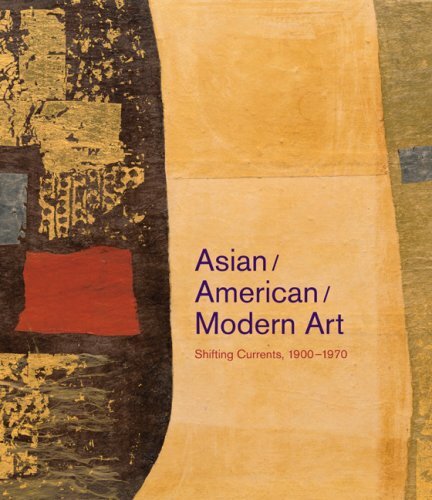 This beautifully illustrated volume, companion book to the exhibition of the same name, presents the first comprehensive survey of work produced by artists of Asian descent in America during the first seven decades of the twentieth century. Featuring examples across many media and extending beyond ethnicity, Asian/American/Modern Art brings into focus an underrepresented and vital group within American art. Introduced by historian Gordon H. Chang and cocurator Mark Dean Johnson, with contributions by cocurator Daniell Cornell and Karin Higa, Sharon Spain, and ShiPu Wang, the book follows the exhibition's multiethnic and multidisciplinary approach. 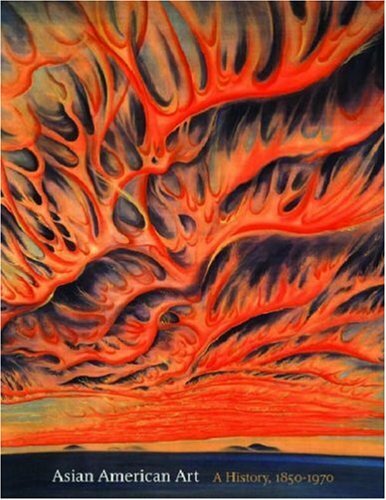 Rather than defining an Asian American art aesthetic, Asian/American/ Modern Art highlights the stylistic tensions and artistic influences apparent in the work of major artists including Chiura Obata, Yun Gee, Ruth Asawa, Isamu Noguchi, Nam June Paik, and Carlos Villa. Two areas of emphasis, the modernist matrix of the early twentieth century and the post-World War II period wherein artists developed new approaches, support the book's recurring themes of war and peace, urban life and community. This powerful book represents a major rewriting of American art history to include a population of artists whose significant contributions to twentieth-century American art have been, until now, largely ignored. 12. 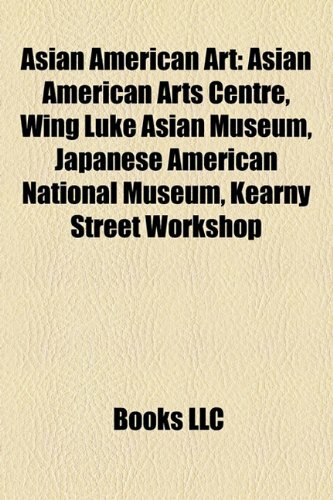 Asian American Art A History 1850-1970 2008 publication. 13. Asia/America; identities in contemporary Asian American art, essay byMargo Machida, Vishakha N. Desai and John Kuo Wei Tchen. A curator-led tour through more than one hundred masterworks. The Freer Gallery of Art and the Arthur M. Sackler Gallery in Washington comprise the Smithsonian Institution's national museums of Asian art. The Freer Gallery opened to the public in 1923, and the Sackler Gallery welcomed its first visitors in 1987. The two museums are physically connected by an underground passageway and ideologically linked through the study, exhibition, and preservation of Asian art. In addition, the Freer Gallery contains an important collection of nineteenth-century American art featuring James McNeill Whistler's Peacock Room, perhaps one of the earliest art installations on record.